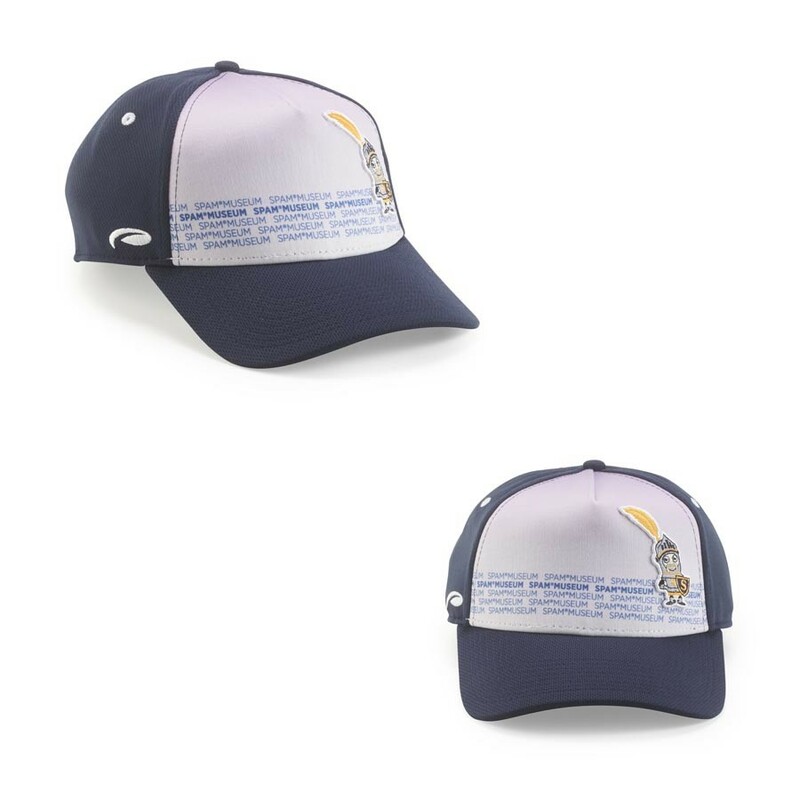 Navy cap with white front with repeating SPAM® Museum wording and sewn on color SIR CAN-A-LOT® Character Patch. Adjustable back closure. One size fits most.